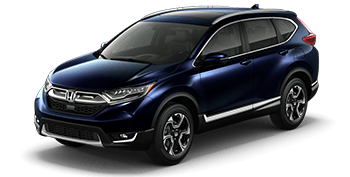 Roush Honda is a new and pre-owned Honda dealership that has been serving the Central Ohio community since 1965, and continues to be the area's source for quality Honda automobiles, service and parts. We are an employee-owned dealership that puts our customers first with highly competitive pricing and first-rate customer service in all that we do. From our helpful, no-pressure Honda sales staff to our dedicated finance professionals and skilled service and parts teams, our employee-owned dealership is here to exceed your expectations. Remember, when you are shopping for a new or used Honda or professional auto service, turn to Roush Honda, where our employee owners work for you! Our Honda dealership near Delaware, OH invites you to shop online or on-site today. Whether you are after a brand-new CR-V or a pre-owned Accord and are seeking financing assistance, our team will deliver! Everything we do here at Roush Honda revolves around complete customer satisfaction, and our employee ownership takes great pride in seeing our customers visit us time and again for all of their automotive needs. From our modern service facility staffed with ASE Certified and factory-trained technicians to our inventory of genuine Honda parts, any Columbus, OH area Honda driver will feel at home at our full-service dealership. Browse our website now, then stop by our Honda dealership in Westerville at your convenience! 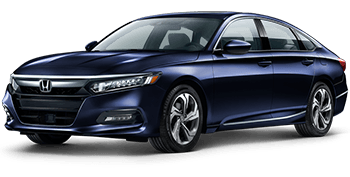 The Honda Accord continues to set the standard for all mid-size sedans with its sophisticated styling and cabin amenities. Secure a new Accord today! Take your pick of a Honda Civic sedan, coupe or hatchback, each of which offers striking style and the latest technologies from Honda! Take your family's adventures to a new level with the versatile and advanced Honda CR-V SUV, available now at Roush Honda. Your family can enjoy three rows of spacious seating and advanced Honda safety systems when you secure a Honda Odyssey minivan at our Honda dealership. Our helpful Honda sales associates invite local Ohio drivers to explore our extensive selection of the very latest Honda cars, SUVs and pickups available. 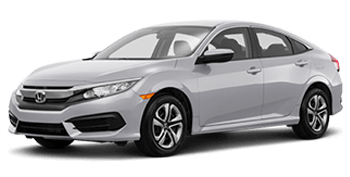 Shop our new Honda inventory online now, then visit us for a detailed tour and test drive a new Honda Civic or Odyssey that has caught your attention. Our team will review the available trim levels, options and features of your new Honda model of choice during your visit. 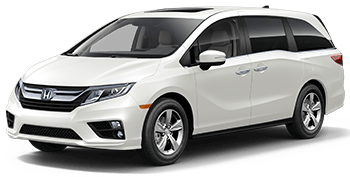 Are you looking to secure a new Honda Odyssey minivan for your family, but you could use some financing assistance to get you there? Then count on our Honda finance department! Our seasoned auto loan team will tailor a loan package that complements your budget. Begin the financing process for your new or used Honda now by completing a secure credit application online. From no credit to pristine or less than perfect credit scores, the Roush Honda finance team is here for you! Before you begin any at-home auto maintenance or repair on your Honda Civic, be sure to contact Roush Honda's parts department! Our inventory is stocked with genuine OEM Honda parts that are competitively-priced for our Westerville, OH neighbors! With our secure online form, you can order Honda parts and accessories from the comfort of your home. Remember, only genuine Honda parts offer factory fit and function, so team up with our parts staff today! Our Honda dealership in Westerville, OH is also a used car dealer, as we pack our used car lot with an impressive array of pre-owned car options for Columbus, OH area car buyers to shop! When you are considering a new or used Honda as your next vehicle, do not forget to discover our collection of Honda certified pre-owned (CPO) models in stock; each of these CPO vehicles come backed by an extended Honda factory warranty! The Honda service center at Roush Honda offers the quality and expertise you expect. With 20 ASE Certified technicians and ten ASE Master Certified techs on staff, you can rest assured that your Honda Accord is in the right hands! Drivers of all makes can count on our service department, thanks to our many ASE certifications and service specials that save you money on quality auto maintenance. Visit our service center near Westerville and Dublin, OH today! Our user-friendly Honda website is here for you to explore. Here, you can learn about the latest Honda models, see our current Honda finance and lease offers and see what your vehicle trade is worth. Remember, if you have any questions along the way, our team of employee-owners are here for you, so contact or visit us at your convenience. We look forward to offering continued service to our Central Ohio neighbors!